You take one week off and BOOM, a year flies by. Sorry world, your sweet addiction of Not So Culinary Graduate was halted for a year, an entire freaken year! Well I hope you all did something fun in that time, I know I did… I think. I’ve progressed my running career. I’m now a running machine! I’ve ran several half marathons, a bunch of 10 milers, countless 5ks and now I am prepping for the Chicago Marathon in October, HOW COOL IS THAT!??!?!?! If you want to stay updated with my running life please follow me on Instagram @Lauren_Runs_Here. I moved too, that’s cool right!?!?! Not far, just down the road in Pennsylvania from where I was living, but the house is so much cooler, and the kitchen! Actually the kitchen is still in the works, I only have one cookie tray that fits in the oven, but the stove is nice, brand new Viking stove. Does moving feel weird to anyone else? You stay in one house for a while, you get used to where everything is, the smell, the squeaks, it becomes so familiar, and then you move. I am still trying to figure out where the silverware drawer is, and if my house is haunted or if it’s just the wind. Speaking of changes, Not So Culinary Graduate might be changing a little to. While I love bringing you a different recipe twice a month, we might switch it up now and then and do a review or a rant. I’m not saying I won’t throw in a drink recipe or the cookie of the week recipe, I’m just saying be prepared for anything! In the meantime to keep tradition alive and the drinks flowing, this week I made a Fudgy white chocolate brownie. The tops and the side were crispy and slightly crunchy while the inside was sweet, gooey, and fudgy! 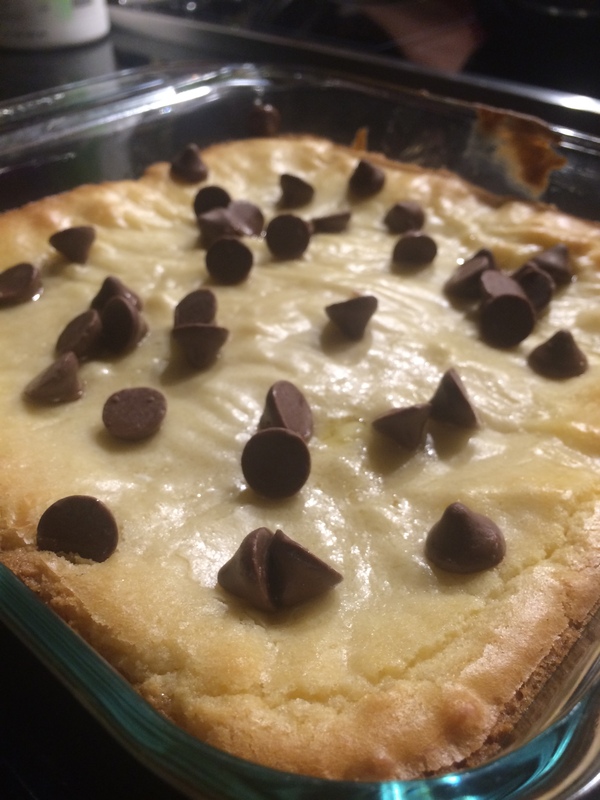 The white chocolate was an interesting contrast from my typical regular chocolate, throw some chocolate chips on top and you got the best white brownie ever! 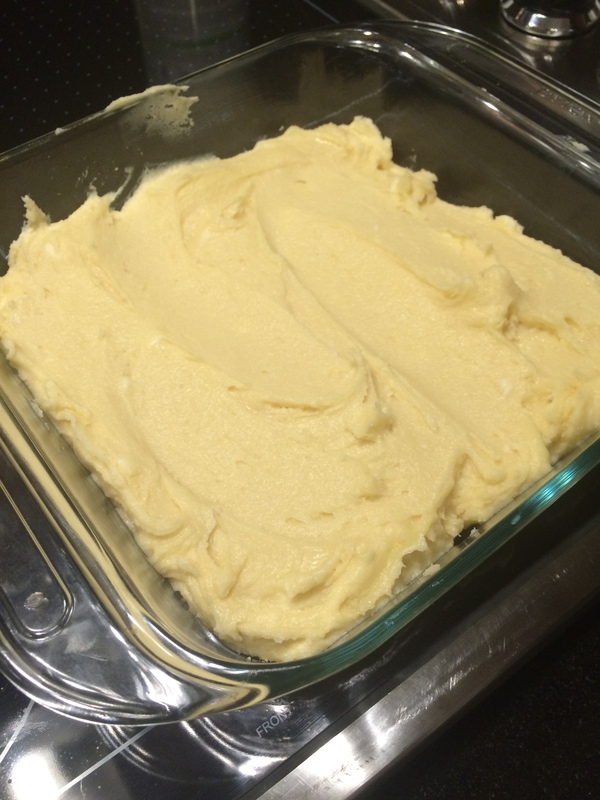 Melt butter and cholate chips in a microwave safe bowl. Try this 30 seconds at a time to not burn the butter. 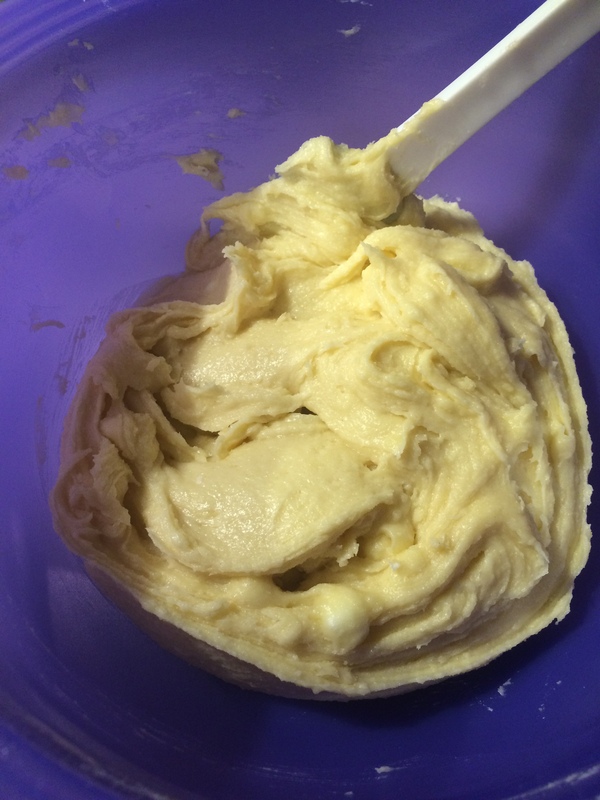 Add sugar, eggs, salt and vanilla and mix until incorporated. Spread into a Creased 8” by 8” pan for 25 minutes or until toothpick inserted in the middle comes out clean. Let cool before cutting.